Does anyone here in this area drive on with their vehicles? Back home we do, and i've seen close to 24" of ice on the few lakes I fish. Just curious if anyone does this/chances it, or if its more of an Albertan thing. 2. know where the streams and springs are. 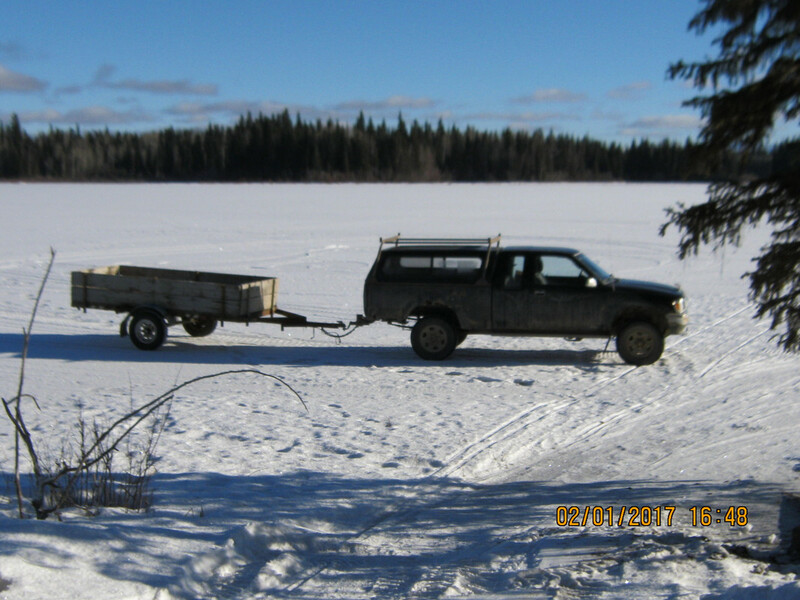 16 to 22 inches on this lake, for an old Toyota 4X4. Remember your insurance is void when you go on the water, any water. Okay, so I'm not crazy. Might give it a try this weekend. Thanks! Tigrr, how do you know your insurance is void when you go on the water??? Is that definite or just hear say. Cause when I got insurance and asked they said I would be covered. Also in Alberta my dad has been and insurance agent for many years with the Cooperators and he says many policies cover vehicles going through the ice you just have to check with your provider. If you are covered they will generally look after recovery costs as well. Here's the response I got from ICBC... turns out as I've seen many times people offering advice don't have the correct information. Thank you for your March 3, 2017 emails to ICBC Feedback regarding coverage for a vehicle sinking while driving on an ice roadway. There is no exclusion for driving over a frozen lake. If a vehicle accidentally sinks through the ice, and the driver did not intend for the vehicle to sink, it would be considered a Collision claim. The frozen lake surface would be considered the roadway with a body of water underneath. A sinking vehicle would collide with the roadway and the water. There is the potential for environmental damage to the lake if a vehicle were to sink and leak fluids. The vehicle’s third party legal liability coverage would respond if a policy holder is held legally liable for environmental damage to the lake. I hope this information helps. Thank you for writing. I too was curious as I plan on moving to BC next year. Thank you Brandon for your effort; and putting a lot of hearsay where it belongs. "Is anybody alive out there"
Oh my god, not the facts. It puts an end to guessing, wild speculation, disinformation and many threads.